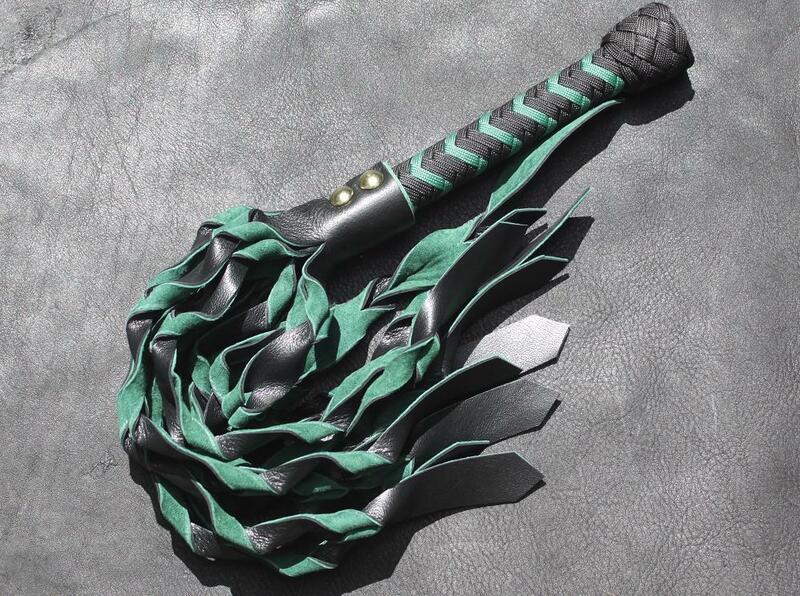 This is really something special. 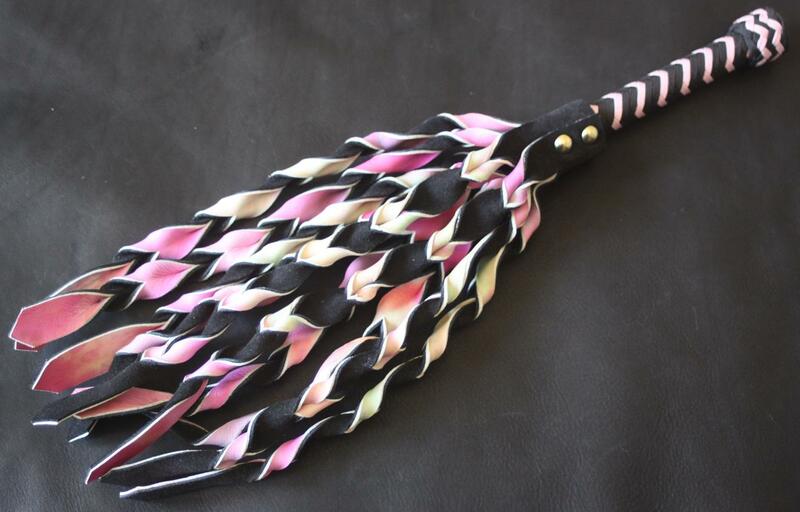 A luxurious flogger with ten wide two-tone falls, each carefully twisted by hand to give a beautiful effect. 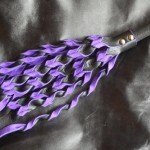 Thumpy with a delicious after sting, although as with any flogger each person will experience it differently. 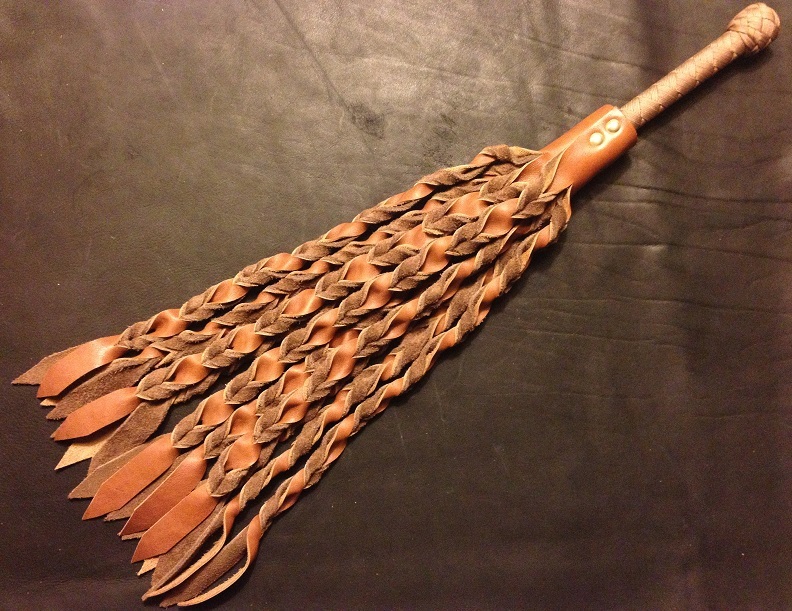 The sensation also varies according to the leathers used. 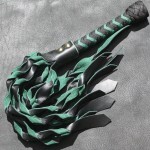 Choose from two sizes ( approx 12 inch medium falls or approx 17 inch large falls) and a wide range of customisations. 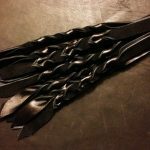 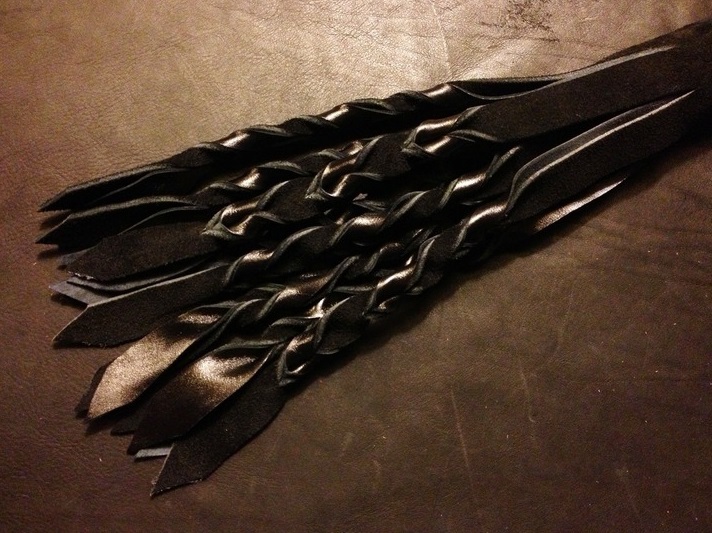 Be the first to review “Luxury Twisted Flogger” Click here to cancel reply.